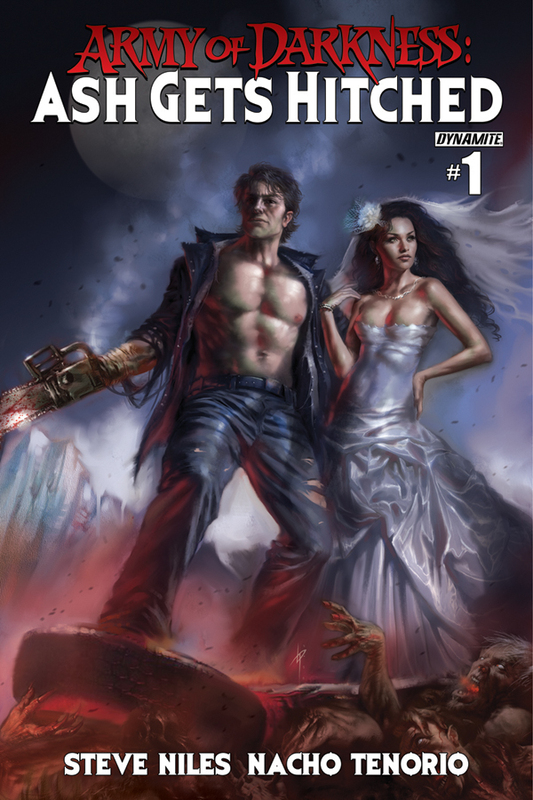 Dynamite is proud to announce that Ash is going to tie the knot this upcoming July in Army of Darkness: Ash Gets Hitched #1. 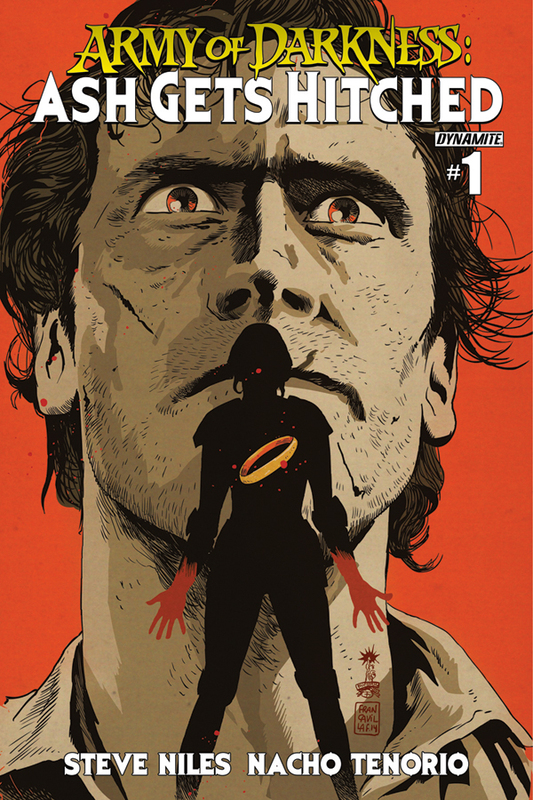 Written by the best-selling comic writer, Steve Niles and interiors by Nacho Tenorio, this monumental event comes with covers by the who’s who of comic artists today: Jae Lee, Lucio Parrillo, Francesco Francavilla, Nick Bradshaw, Arthur Suydam, and Stephanie Buscema! 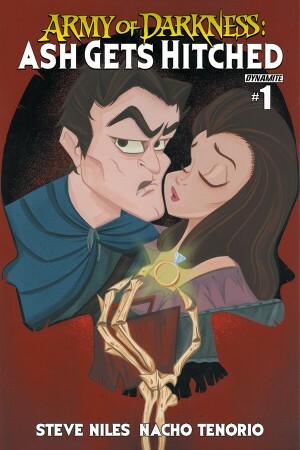 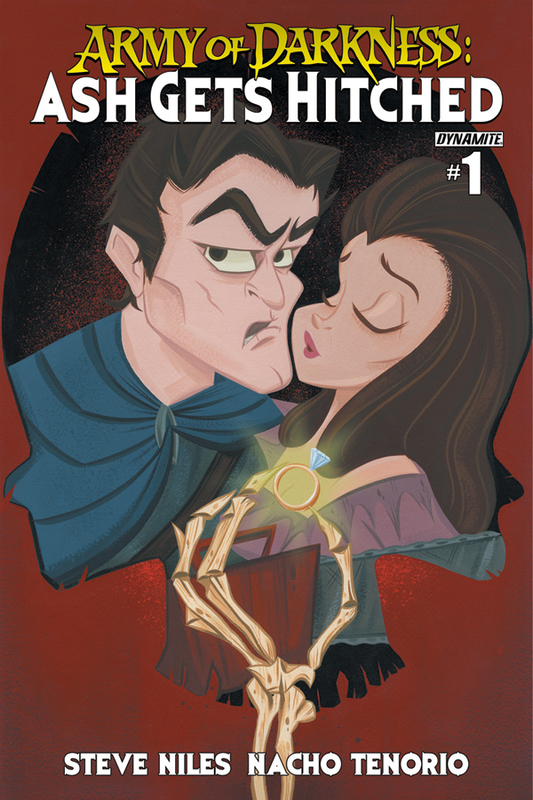 In Army of Darkness: Ash Gets Hitched #1, Ash and Sheila are reunited and Ash vows they will never be separated again. 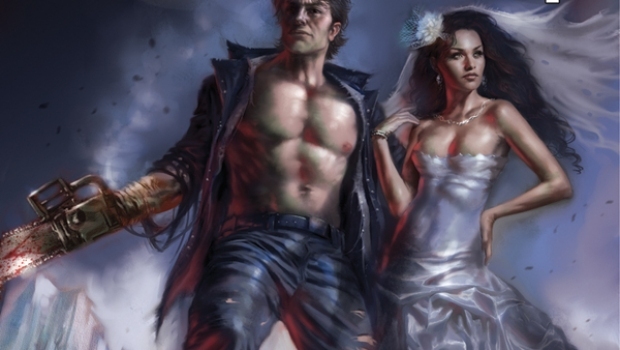 Can evil stop evil? This will be the question Ash has to answer, now that he has unleashed the Faceless Man on the land. 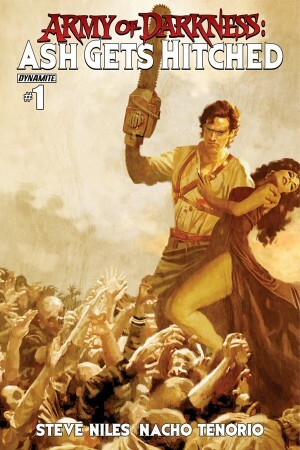 Steve Niles is an American comic book writer and novelist, known for works such as 30 Days of Night, Criminal Macabre, Simon Dark, Mystery Society, and Batman: Gotham County Line. 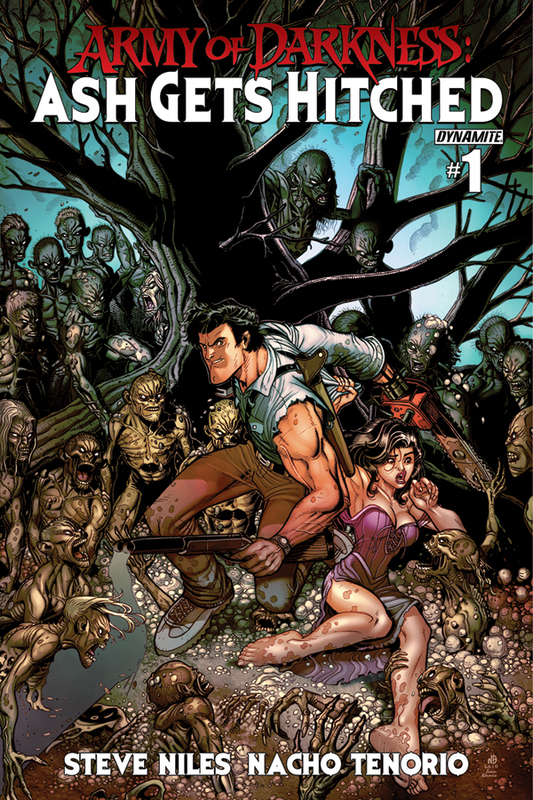 He is credited among other contemporary writers as bringing horror comics back to prominence, authoring such works as 30 Days of Night, its sequel, Dark Days, and Criminal Macabre. 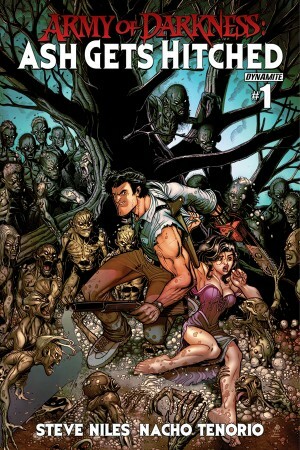 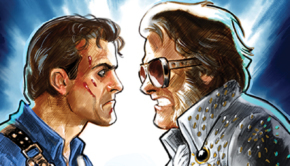 Steve currently writes Ash and the Army of Darkness for Dynamite Entertainment. 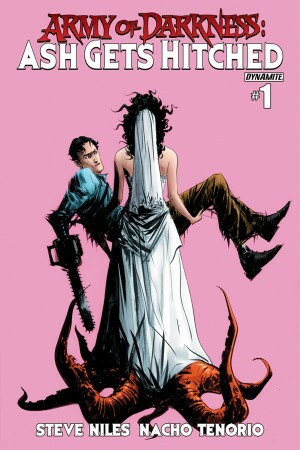 Army of Darkness: Ash Gets Hitched #1 will be solicited in Diamond Comic Distributors’ May Previews catalog, the premiere source of merchandise for the comic book specialty market, and slated for release on July 9, 2014. 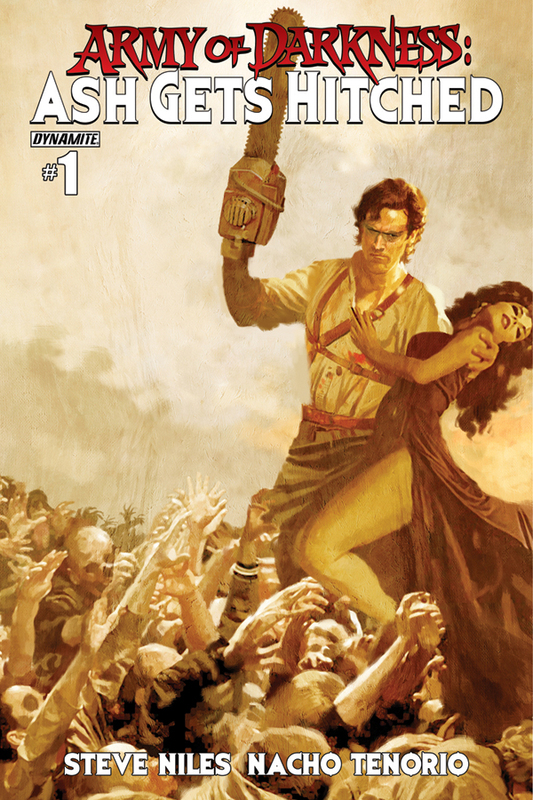 Comic book fans are encouraged to reserve copies of Army of Darkness: Ash Gets Hitched #1 with their local comic book retailers. 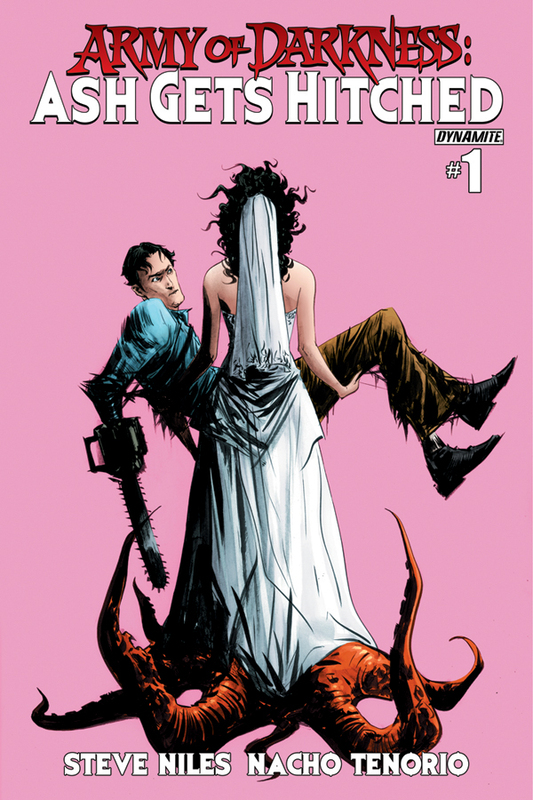 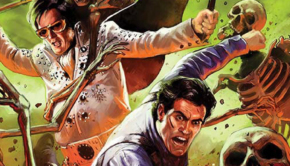 Army of Darkness: Ash Gets Hitched #1 will also be available for individual customer purchase through digital platforms courtesy of Comixology, iVerse, and Dark Horse Digital.